In addition to the new Custom Reports module described here, the existing iRise Avatar™ Custom Reporting tab will continue to be available. 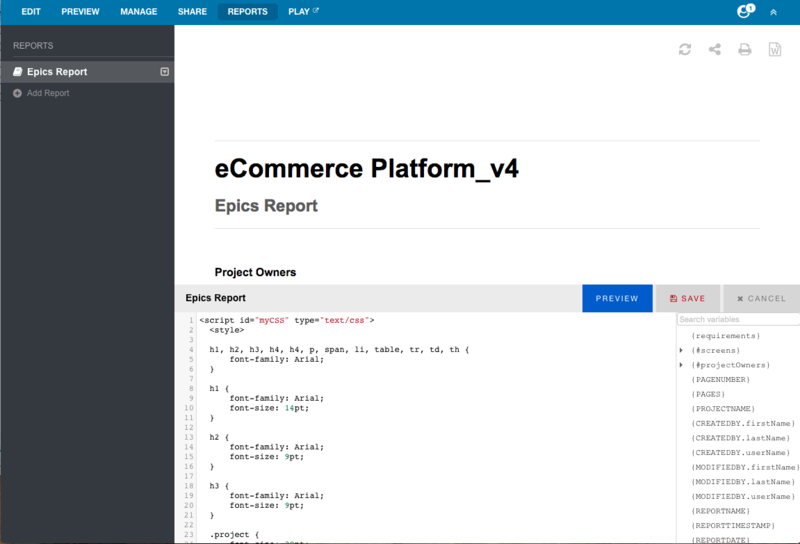 The Custom Reports module provides you with a collection of predefined reports that you can use out of the box to run reports for your iRise projects. These reports are also completely customizable. 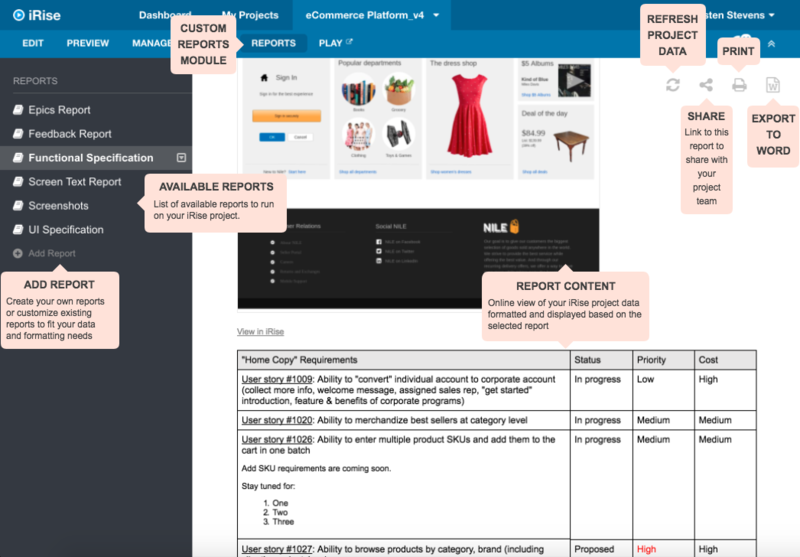 Review the Customizing Reports article to see how you can create your own reports or tailor the existing reports to reflect the project information and formatting that you need. 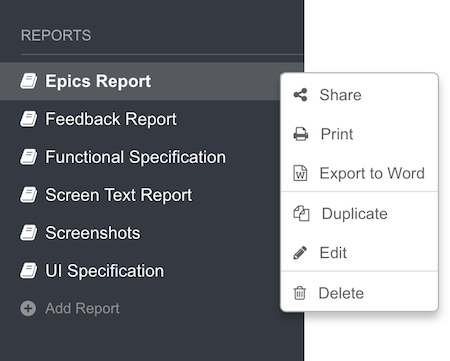 Share reports for your project with your whole team via link, Word export, or printed copy. *Note: The Custom Reports module is disabled by default. Cloud customers: Contact iRise Support to request to enable this feature for your iRise Definition Center after upgrading to v11.3 or higher. On-prem customers: Contact your iRise administrator to request to enable this feature for your iRise Definition Center after upgrading to v11.3.3 or higher. iRise Administrators: Review Enabling the Reports module for guidance. 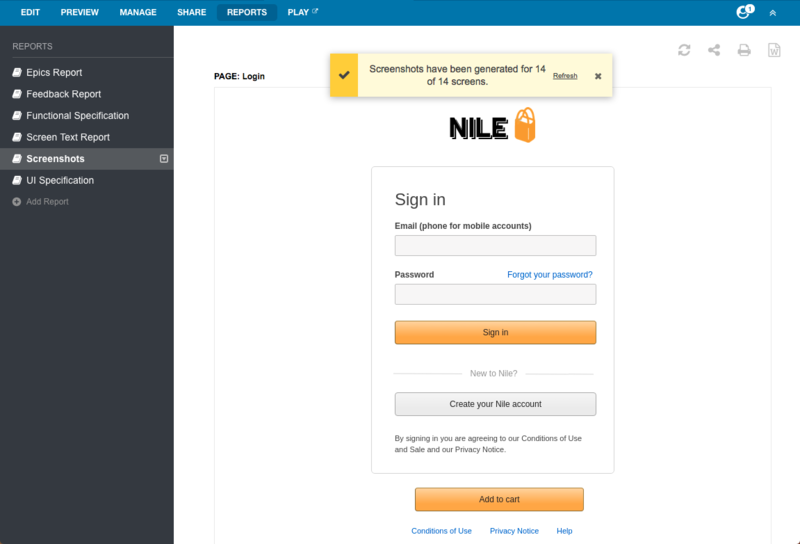 Once the Custom Reports module is enabled, it can be accessed from any open iRise project. Available Reports - Provides a list of all available reports to run for a project. Add Report - Used to create your own reports or customize existing reports to fit your data and formatting needs (requires Owner permission on the project). Report Content - Provides an online view of your iRise project data formatted and displayed based on the selected report. Refresh Project Data - Used to refresh your report after updates have been made to the prototype, requirements, or comments. Share - Provides a direct link to the selected report to share with any user with access (View and Comment, Edit, or Owner permission) to your project. Print - Used to print the selected report. Export to Word - Used to export the selected report to Word. *Note: Existing projects will not have any reports populated in the list of available reports. The list of available reports for new blank projects will be populated from the Default Reports setting for the Definition Center. An iRise Administrator may edit the Default Reports from the Administration settings page on the Definition Center. A new report will be added to your list of available reports for your project and will begin running for your project. Click Save to close the report editor. *Note: When you access the Custom Reports module, the top report in your available reports list will start running automatically. 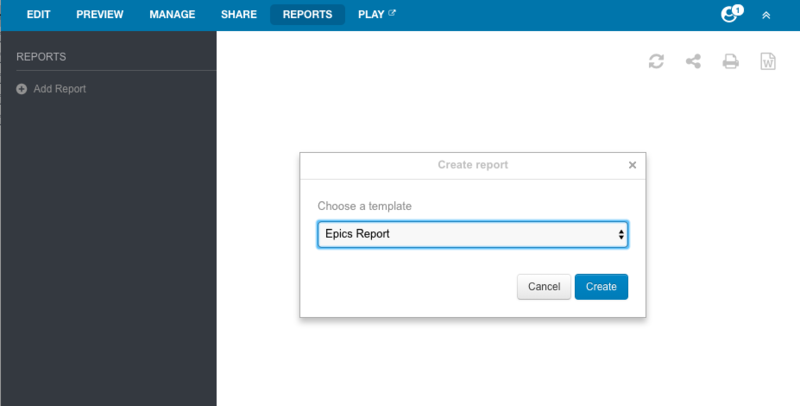 To run a report for your project, click the report name from the list of available reports. You will see the report content section populate with your iRise project data formatted and displayed based on the selected report. *Note: Reports may take several minutes to render dependent on the size of your project. You can also click the Actions icon next to a specific report template name and select Print or Export to Word from the sub-menu.